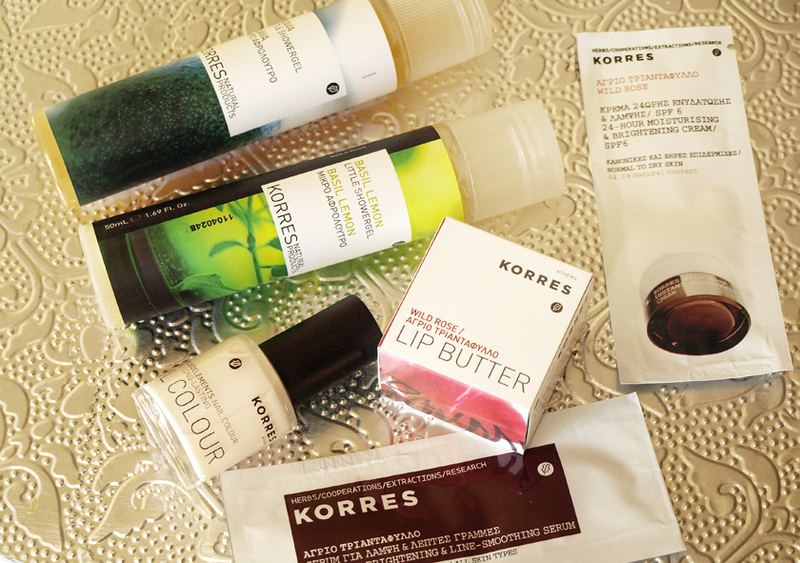 This little kit is quite popular in the blogosphere, so I am sure that you are familiar with Korres and their products. The kit costs £15 (free delivery) and includes a full size lip butter, full size nail polish, two 50ml shower gels and two skincare samples (worth £27). I already had the Wild Rose Lip Butter in my stash, but it is always good to have a backup. It is a buttery lip balm, enriched with shea butter and rice wax - great for chapped lips. It is a deep rose/burgundy shade, with a nice shine and it feels very moisturising. New nail polished always excite me, especially if I haven't tried the formula before. Korres nail polishes are enriched with myrrh extract, oligoelements and Provitamin B5 for strong, healthy nails and don't contain nasty ingredients. Shade baby pink is a very pale milky pink, with a high shine finish. I needed two coats for a nice finish and the formula lasted on my nails for 3 days without chipping. I really like the colour and I might purchase some more in the future. It is light, hydrating and leaves my skin feeling soft and plump. It is suitable for normal to dry skin. This serum is enriched with Vitamin C to brighten the skin and smooth fine lines. It is a lovely product, but I would need a full size bottle to see if it makes a difference. The shower gels left me very confused. 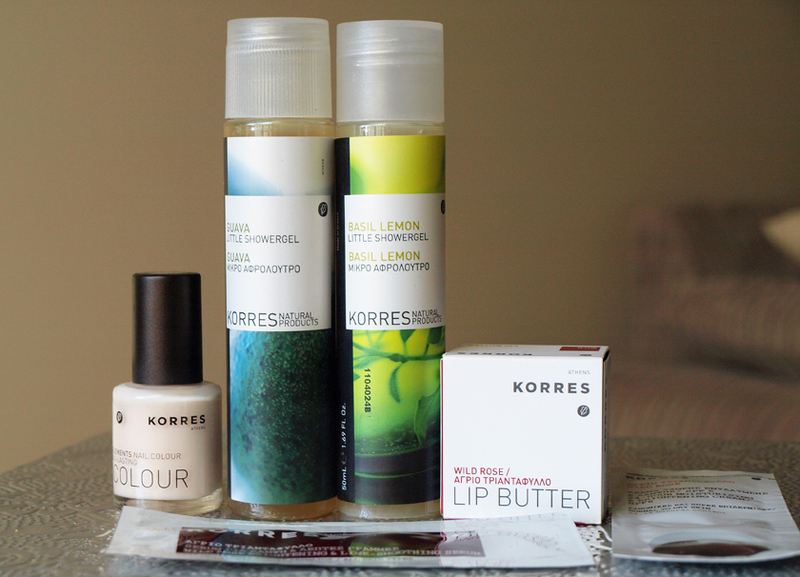 Korres claim to be a natural brand, but... they use SLS/SLES in their shower gels. I don't understand why, because it is a very nasty ingredient! Yes, it is a creamy-foam for everyday use with a lovely scent, but... it isn't suitable for all skin types and it doesn't offer a lasting moisturising effect. SLS isn't an ingredient suitable for sensitive skin and it leaves my skin very dry! 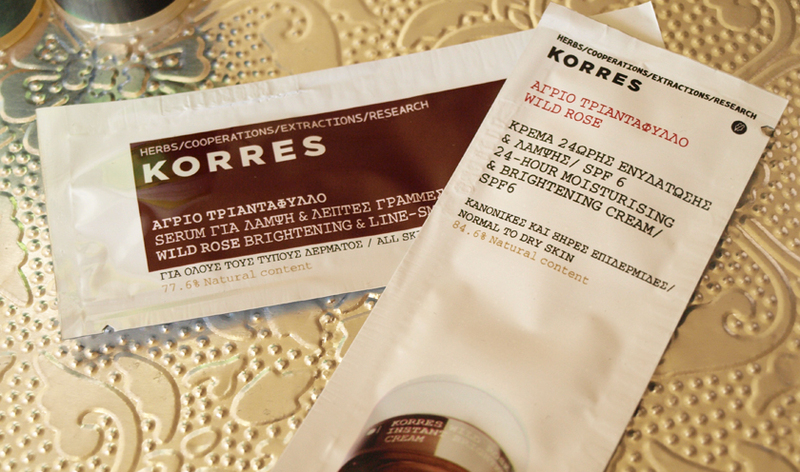 Overall, this kit is good value for money, but I am confused about the ingredients in Korres products. I would strongly advise you to read this post, written by Sarah to find out more about the ingredients used by this "natural brand". 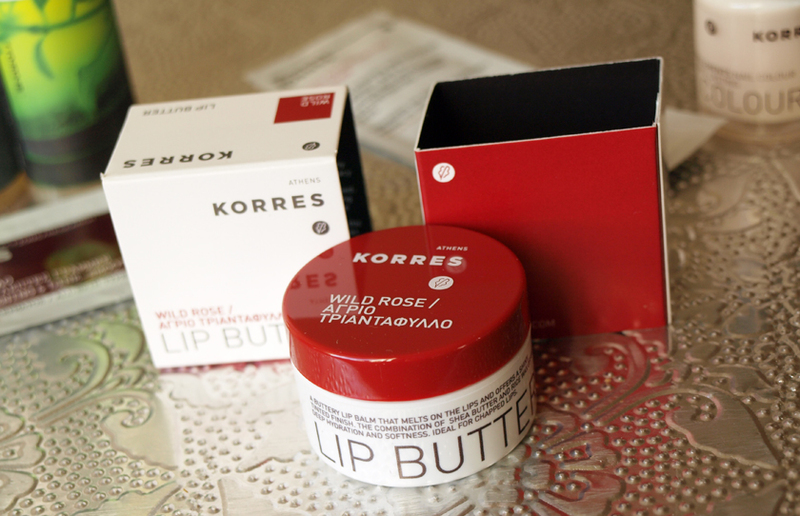 I will keep using my Korres lip butters and makeup, but I will be more careful with checking the ingredients in the future.